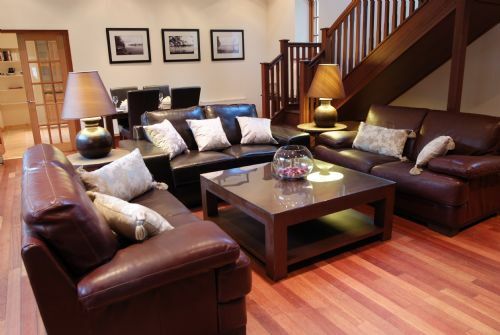 Carriage Lodge is the ideal place for a relaxing break in a prestige location. Built in 1868, Carriage Lodge is an exceptional home comfortably blending modern luxury with historic charm. Stylish design combined with a “home away from home” quality, the Lodge effortlessly accommodates 8 guests with a spacious open plan living and dining, generous gourmet kitchen, 4 large bedrooms and 3 bathrooms. 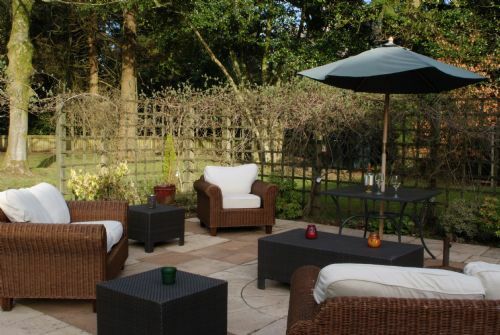 A large sun drenched garden provides the perfect setting for outdoor dining and entertaining. 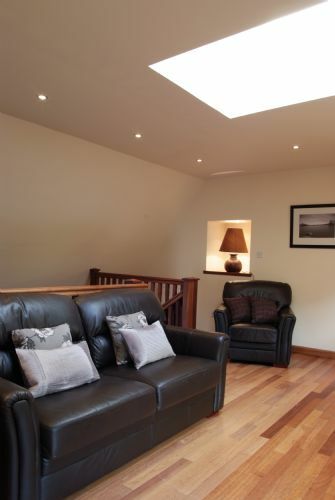 The Lodge is equipped with Wifi, TV, DVD system, Sky Digital Entertainment and Bluetooth Speakers. This home away from home is fully accessible for guests with limited mobility and a downstairs bedroom and bathroom ensures total comfort. Fabulous stay. Very spacious beautiful lodge. Just a couple of points - downstairs shower not very hot with little pressure. Fourth bedroom at top of stairs was quite cool. Felt in such a beautiful lodge the cutlery and crockery should have all been matching. Minor issues - overall a super experience would and have already recommended the property. 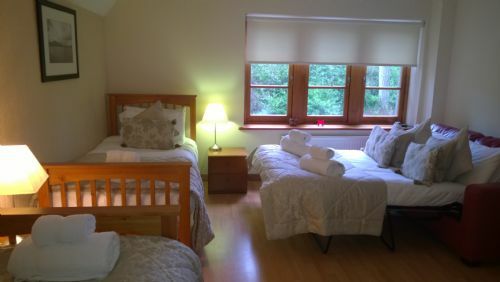 For 4 of us, Carriage Lodge was far too big for us but nice and cosy all the same. It was so nice, we have booked it again only this time there will be 8 adults. It will be ideal. 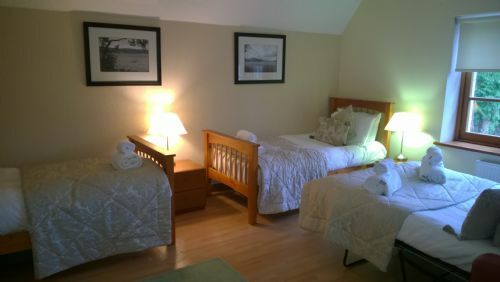 Had a Fantastic stay at Carriage Lodge with a group of Friend’s,In our eyes its a 10 out if 10, What I would say though is A Hot tub would be of great use in the Wonderful Garden at the Patio area,I only live a 10 minute drive away but felt as if I was miles from home,Comfortable all through out,and had everything and more that you need for a break away ..
Generally we were pleased with the facilities at the lodge. It was showing signs of wear and really needs some tlc to be classed as 'luxery'. The downstairs shower did not work as the temperature control was ineffective so for those in the downstairs room it meant they had to keep using the upstairs bathroom which put pressure on that - one bathroom between six adults is not really acceptable. The so called welcome pack was disappointing - one bottle of prosecco between eight, bottle of milk, small loaf of bread and box of shortbread. We were invited to enjoy the goodies in the fridge - there were none! Also no teatowel. However, despite the above we did enjoy our stay and we're impressed with the service received when altering our original booking. Absolutely loved the carriage lodge! Picture perfect and so comfortable! Was ideal for a 5 day get away for my partners birthday! Perfect location for a bit of quiet, but only 5 mins by car to plenty of activities and places to eat! Honestly couldn't believe the price! Will definitely be staying again and couldn't recommend more!! 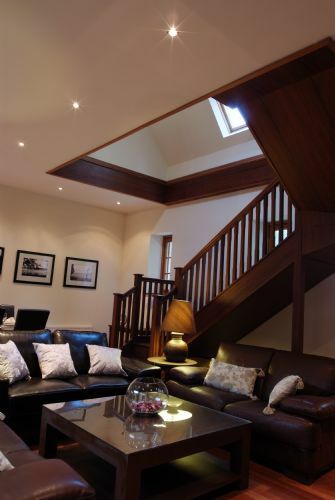 Everyone found the three properties outstanding in terms of comfort, presentation and space. The Carriage has a great lounge area for socialising. 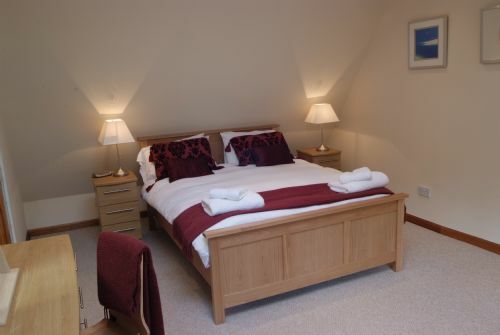 The Carriage Lodge is a beautiful house that is up to a very high standard of cleanliness and comfort. 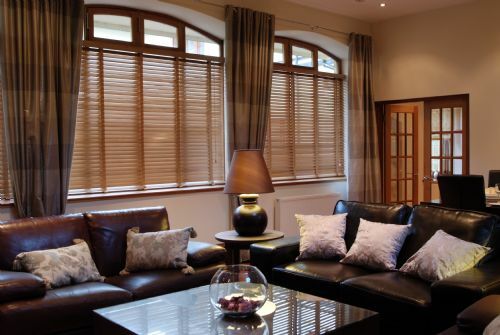 We thoroughly enjoyed our stay here and would highly recommend this for other people. It was excellently stocked of necessities (salt/pepper/washing up liquid) which some self-catering stays don't provide and which are easily forgotten about which was much appreciated. The ONLY downside (I can't think of anything else) is that on the website it is described as a 'short stroll' from the Cruin - as we were attending a wedding here we thought this would be an ideal location. However, the 'short stroll' option was through muddy grass areas with no clear path - not ideal in wedding get-up! If you walked via the road it would take about 25 mins (per googlemaps) we chose to leave a car at the cruin to pick up the next day and get a taxi back - FYI - the taxi company charged 9.50 for a 4 min journey as this was the standard charge. This was the only downside to our stay and we had a wonderful time during our stay in the house. Location was excellent, but it was a muddy trudge to view the loch! 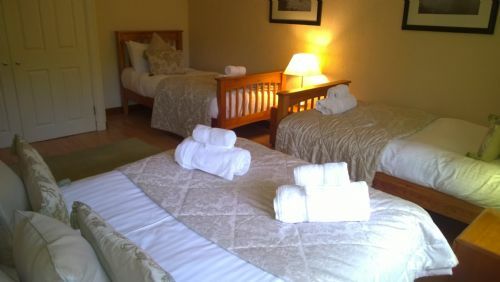 Plenty of parking, which was good for our stay with 8 guests, and the lodge itself was a gem; ample beds and bathrooms and a great kitchen to knock up some tasty food before exploring the local sights. 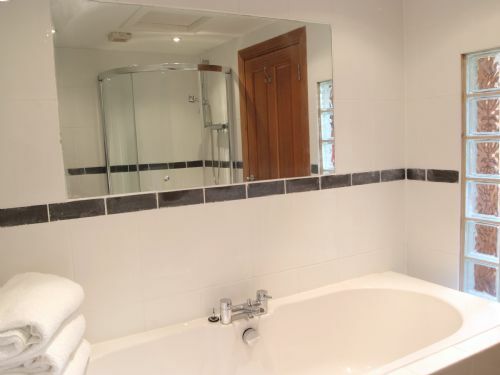 We did find the ground floor bathroom (in our opinion) does need further updating, particularly the dodgy.electric shower and broken tiles, but after bringing this up with the management we were told this would be a priority in future. All in all everyone enjoyed their stay and I'd stay there again - but perhaps upstairs! Everyone with us had a great with fab amenities. Without exception, everyone has said how relaxing the whole experience was. The only challenge was getting to know the workings of the kitchen appliances. This is indeed a luxury lodge, with an abundance of space. The impressive and welcoming hallway, leading to the lounge area with wonderful soft furnishings throughout added to the the luxury atmosphere. The fully equipped kitchen had everything we could have needed, and we enjoyed the formal dining table as well as the kitchen table. The lodge was warm, with an abundance of hot water. 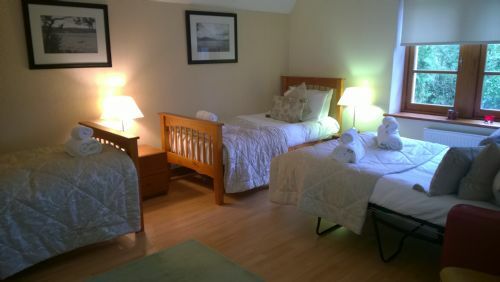 It is very spacious, and with the en-suite bathrooms and layout, was able to afford our mixed group excellent space and privacy too. The comfortable lounge area ensured we were able relax and to enjoy the weekend to the fullest. The helpful local information provided meant we had taxi numbers to hand too. An excellent well run lodge, with friendly and helpful staff. We hope to return next year and would highly recommend this company. 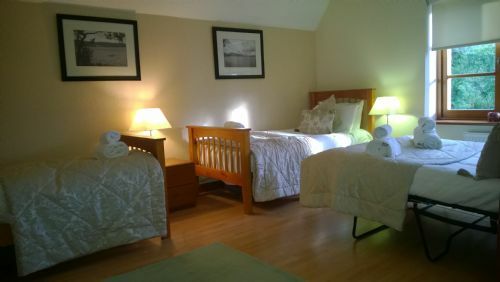 Hi Anne-Marie, Thank you for your glowing review of Carriage Lodge. We are very proud of the property, and aim to provide our guests with all the comforts to ensure a relaxing and stress free experience. 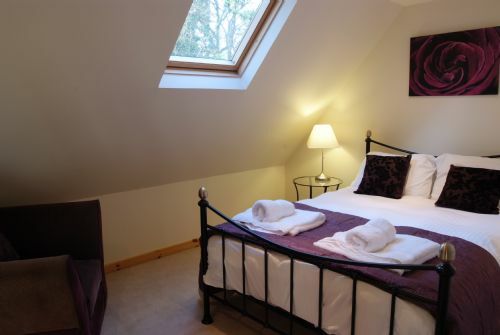 Nestled in the Trossachs and Loch Lomond National Park just a short stroll to the banks of Loch Lomond makes it an ideal getaway. So delighted you found everything to your satisfaction and we look forward to welcoming you back next time. Recently 10 of us got together to celebrate a family reunion at this lodge and had a thoroughly enjoyable weekend. It is within a 5 minute drive to Balloch and close by to some of the most amazing scenery in Scotland. Overall the facilities were excellent with a few minor issues i.e. shower and tap in downstairs toilet need replacing. Beds and bedding were of an exceptional standard, best nights sleep in ages. Everything you need is in the well equipped kitchen should you decide to do any cooking. All in all had a great experience and would highly recommend this lodge for any type of break. Finally big thanks to Liz and Gina who were most helpful prior to and during our stay. After encountering a small problem upon arrival, which was quickly dealt with by Gina, we really enjoyed our stay in The Carriage Lodge. The house itself is very big and well equipped with ample rooms and plenty of space for the kids to roam around. The weather wasn't good so we couldn't enjoy the lovely garden but it would work a treat on a good day. Really close to the shores of Loch Lomond and a short drive to Balloch. Highly recommended! 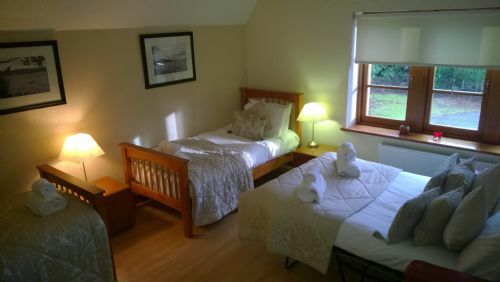 We booked this as well as The Smiddy, The Coachouse and The Stables for us and our family to stay in for our wedding weekend. All were lovely but The Carriage was definitely the most spacious and luxurious of them all. My brother is disabled and it was also perfect for him with access in and around the property without stairs. 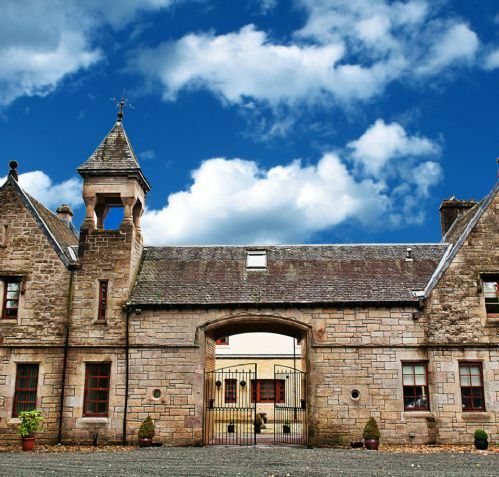 Great location as well, really close to everything in the Loch Lomond area but you feel a million miles away. Great stay overall. Perfectly located for Loch Ness and Helensburgh. Very comfortable, home from home. Made to feel very welcome . 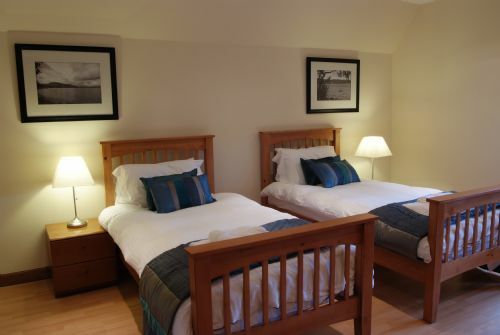 The lodge is situated close to the shores if Loch Lomond. Walking distance to the Loch but be prepared to drive if you wish to travel further for shops and pubs etc. Local town about 5 miles away which costs 15 quid in a taxi. The house is fantastic with everything on hand. Kitchen fully stocked if you want to cook. Towels and linen provided. The owner is on hand if needed which is handy. Internet slow but not an issue as good excuse to put down the phone. Would benefit from a hot tub. Plenty of activities in the area for all. Overall well worth a visit.